UH JABSOM, with multiple disparate departments, each communicating through separate mechanisms, needed to refresh their brand, message and image and unify efforts through clear and concise communication in order to increase public and donor support. We worked with the executive board and key stakeholders to unify all channels of communication through a single website hub. 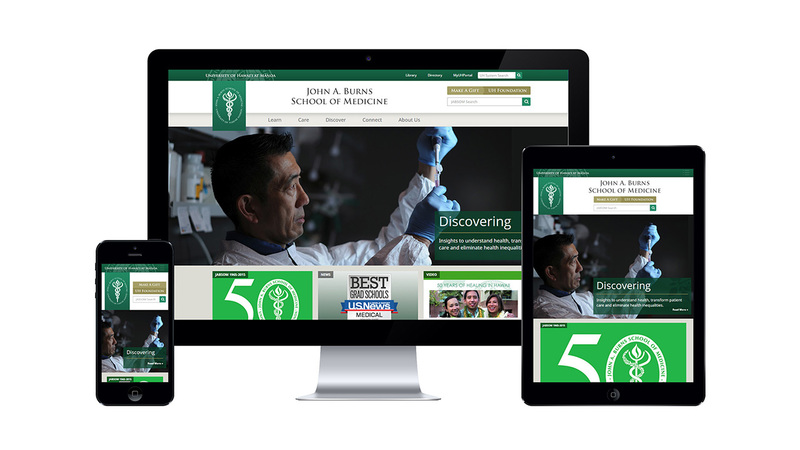 The UH JABSOM image, brand messaging, content strategy, and web design were revamped to become streamlined with a simplified message of “Caring, Discovering, Learning and Connecting.” We integrated the brand messaging into the web design and user experience design to integrate brand messaging into the overall experience. 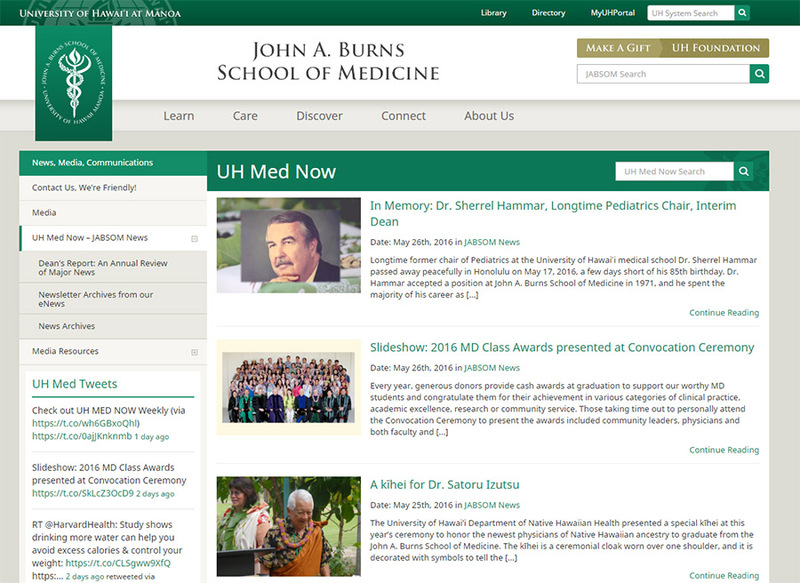 We successfully transitioned all of UH JABSOM’s disparate department communications into a centralized hub through the new website, as well as integrated a regularly updated medical blog into the site. The website has the support of all the stakeholders and has become the online face of JABSOM.